That's a bummer. Here, everybody is on the bed and gets along. Kismet is the only one left out but who needs a parrot bedbuddy? 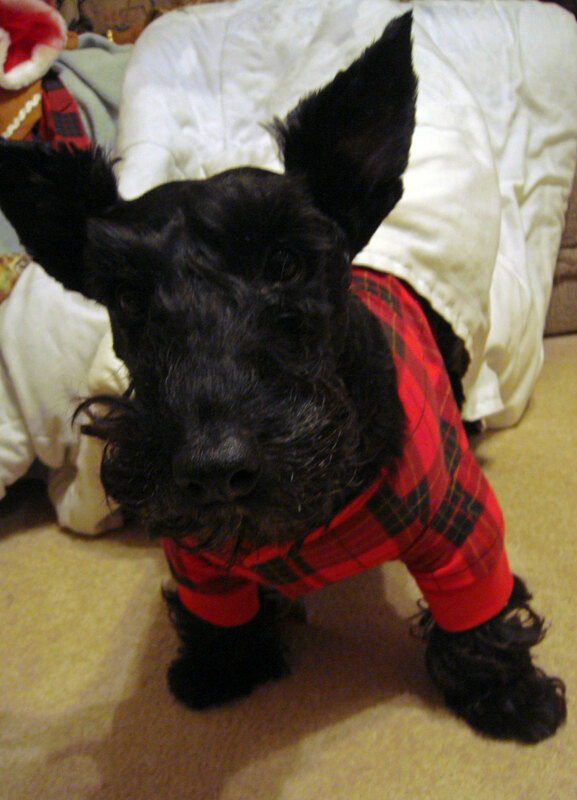 You got plaid jammers on ~ WOW Scottish Plaid Jammers! I get to sleep with my peep in the bed too... When the other peep is away... Trouble is we have to share with Floyd... He's a hog! Who could resist a doll like you? Of course our peeps can resist us - Dad never lets us in the big bed. Sometimes Mom lets Lilly on there. The puppies always get to get in the big bed, but they're leaving us so they don't count.